The aim is to gain higher margins for the Amazon arch-rival, which in turn could help with profitability. Internally codenamed Project Ice, Sachin is planning to make self-branded items in more than 40 categories, including electronics and home furnishings. A rollout is expected by April. “As of now, the new label does not have a mandate to make profits, it just has a mandate to set up a Make in India base,” two people aware of the developments told Tech in Asia. According to the quarterly Indian E-tailing Leadership Index, Amazon still plays second fiddle to Flipkart, which has been ranked number one for the fourth straight quarter in 2016. While Paytm gained from the phasing out of high-value notes, ecommerce players suffered a setback as a cash crunch crippled cash-on-delivery payment, which accounts for a significant chunk of their business. Snapdeal also improved its scores on the index, benefiting from its partnership with Paytm’s smaller rival Freecharge. 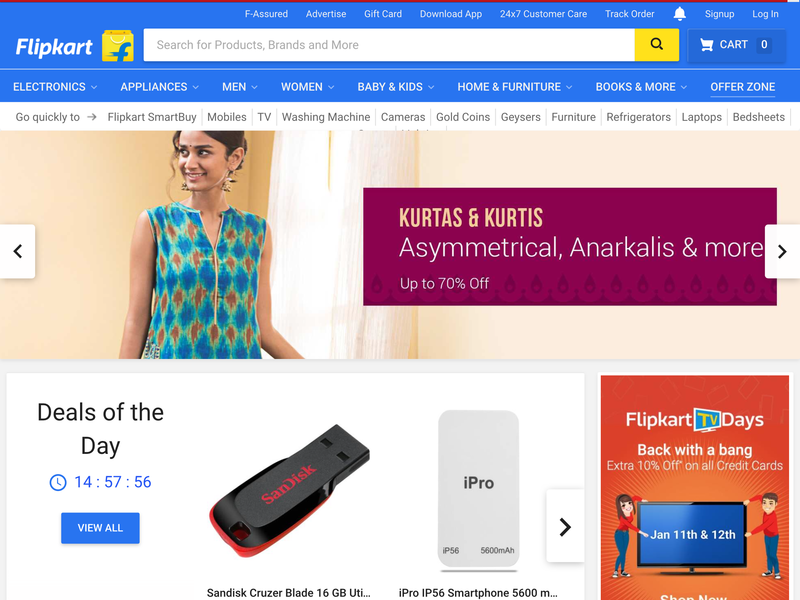 Flipkart wants to be IPO-ready by the next 12 to 24 months but is lacking a clear growth strategy amidst increasing competition on the Indian market. It is unclear how private labels, aimed at the higher end of the market, will help with that. Like so much at Flipkart lately, this looks like it is mainly about the margins, made for creating a sellable IPO story. Fast-paced growth has come at a steep price for India’s top online retailers- Flipkart, Amazon India and Snapdeal. The combined losses for all three companies doubled to Rs Rs 11,754 crore in fiscal 2016, while combined revenues doubled to Rs 6,802 crore according to financial numbers filed for the three previous fiscal years. 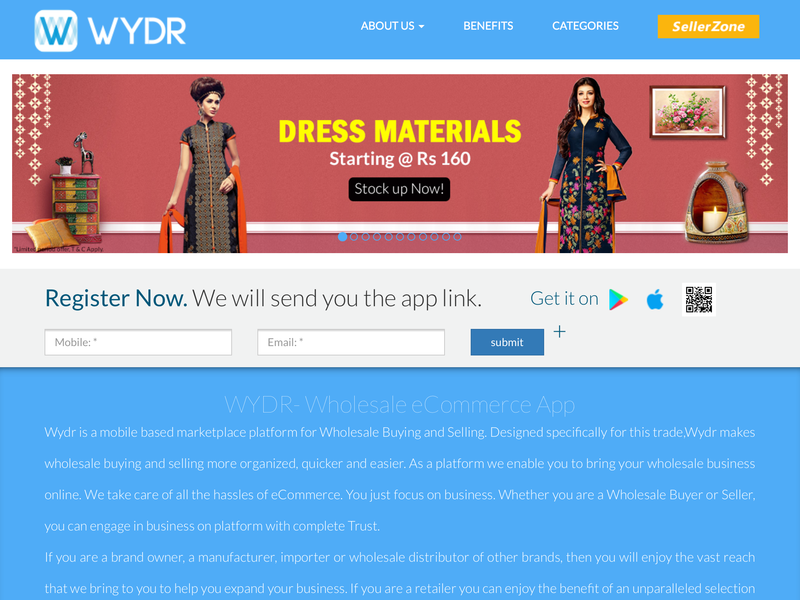 Wydr is an app-based marketplace connecting retailers with manufacturers and wholesalers across categories like fashion, home, automotive, and electronics. It claims to have 1,000 merchants selling their products on the app, and that 200,000 retailers have downloaded the app. With the fresh round of funding, the startup aims to expand its seller base, introduce new categories, and upgrade its technology to deliver more value to users. “Our app enables easier sourcing and better pricing for retailers while opening up new avenues of sales and better stock liquidation to the merchants,” Devesh Rai, the CEO of Wydr told ET, adding that he plans to expand the seller base from 3,000 to 15,000 in the next six months. The platform has also integrated a chat platform on the app to facilitate price negotiation between buyers and sellers. Wydr is currently reporting $2.5 million in gross sales per month with a a repeat buyer rate of 45% and growth by 30% every month.